The People’s Library | Catalogue This! Destroying 5,500 books does nothing but make people angry. It was about 2pm yesterday when I was watching a pirated copy of J.A.G (Season 2! ), that the Occupy Wall Street Library Twitter feed was going nuts. 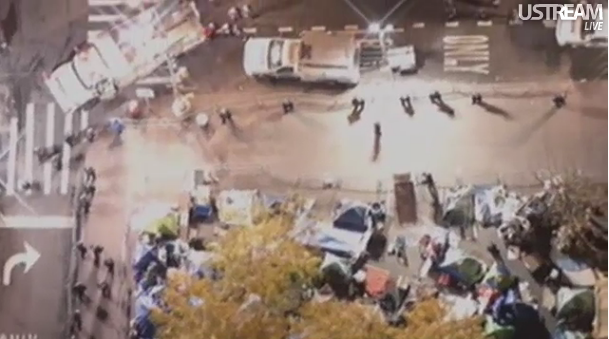 Zuccotti Square was under attack. I have been following their blog for sometime, and knew from past meeting minutes that they had an Emergency Contingency Plan (first save the movement’s archives and self-publications, then the electronics, then start on the crates of books), but that didn’t soften the blow as I watched in horror as one of the OWS librarians tweet pictures of the 5,554 books and other materials being destroyed and tossed into dump trucks.